For everyone who wishes to see and use a new free&open GIS called OpenWebGIS http://opengis.dlinkddns.com and make comments and suggestions. You can use the extensive mathematical functionality to calculate and analyze your data. 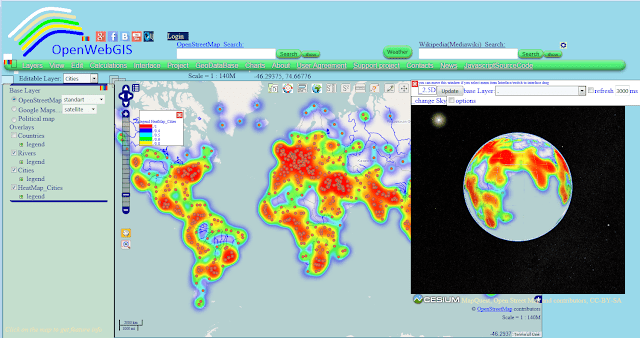 Using OpenWebGIS you will get online/offline a Geographic Information System at your disposal, it may be similar in functionality to some desktop GIS. Please support this project.